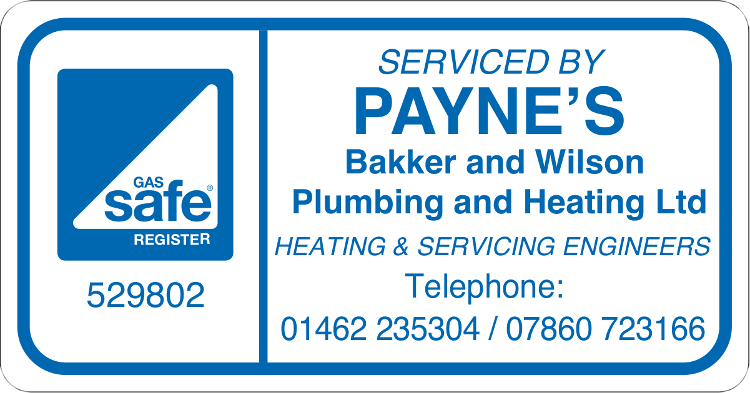 Based in Letchworth, Hertfordshire, Bakker and Wilson are a local plumbing company specialising in boiler upgrades, boiler servicing, central heating installations, unvented cylinder installation, underfloor heating and general plumbing services. Our fully trained and qualified plumbers are gas safe (previously known as corgi) registered and always on hand to answer any enquiries you have. Our up front pricing means you're never left with unseen costs at the end of the job. Our call out charge is £60 plus VAT for the first hour then £35 per hour after the first hour. Whatever your plumbing issue, whether you have blocked drains, burst pipes, no hot water, gas leaks, broken toilets or leaking taps, we're available to help 24 hours a day, 7 days a week. So if you need a plumber call us today on 01462 235304.